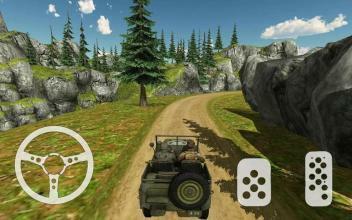 World War 2 Game (Call Of Courage) Become an American Commando in the greatest war of the history and perform very secret missions which will change the outcome of this World War 2 (WW2). You are a secret American commando and you are accompanied by a fully trained dog which will help you to fulfill these missions. The world is out of order, Hitler wants to win this World War 2 (WW2) by destroying neighboring countries and making them slaves. 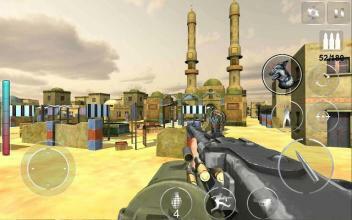 The world needs a miracle to overcome his madness, and now you as a special force commando will try to save the world. 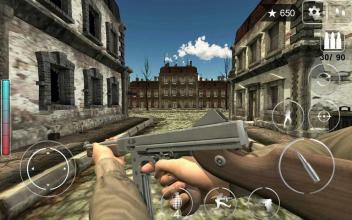 “Call Of Courage : WW2” is a first person shooting game which is full of action and you experience what was look like in World War 2 (WW2) and how these commandos laid their lives to proclaim peace for the world. This WW2 Game contains a story mode, in which you have complete 30 different missions. Every mission is very sensitive, and you have to complete each one to move on the next one. The difficulty increases with every mission, so be careful and read the objectives of the mission carefully. The missions start with carrying out a simple task but the ultimate task to end this World War 2 (WW2) is to eliminate the snake head which is Hitler. So be ready and train yourself as a real American Commando. What is more exciting about “Call Of Courage : WW2” is that you have to be stealthy, and work with your co-worker which is a military trained dog waiting for your orders. To accomplish these missions, our commando is fully trained and equipped with 15 different kinds of weapons. 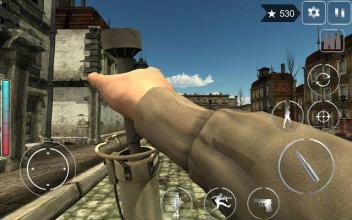 These were the weapons which were present in World War 2 (WW2) and was used during the war, it will provide you real World War 2 (WW2) experience. This American Commando can be equipped with guns like Thompson, M1 Grand, Bar, MP40, K98, Colt 1911, Luger, Sten, Stg44, Fg42, MG42, Thomson, PPSH, Shootgun and finally a Panzerschreck. The Controllers are amazing and smooth which will help you to move around easily and to take aim accurately. The 3D graphics are realistic that it will give you real life gaming experience. The environment is clean fully optimized providing no lag or FPS down issues, which enhance the gaming experience. The sound is really good and real, you can enjoy playing a 3D game with well-synchronized sound effects. Some “Call Of Courage : WW2” Features: Spy Commando with a trained dog. 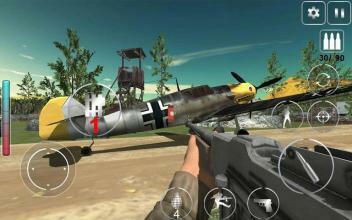 Amazing World War 2 (WW2) Game, for those who love playing WW2 Games. Secret and stealthy missions which are difficult to complete. Full Action Commando Game. Totally free to play. Smooth and Steady Controllers. Realistic 3D graphics with amazing sound effects. 30different Missions to complete with a Story Mode. 15 different World War 2 (WW2) guns. Play as an American Commando and let’s finish this long lasting World War 2 (WW2) and bring back peace in the region. Download and please provide us your suggestions for further improvements.